Central Coast AirFest, a two-day airshow, will take place on the weekend of October 6th and 7th at the Santa Maria Airport. This is the first annual AirFest, and it will introduce a new era of air shows to the Central Coast. Headlining the event will be the Canadian Snowbirds, Canada’s iconic 431 Air Demonstration and Military Aerobatics Squadron. He is excited about the vibrant atmosphere the team will bring to the show, mentioning that the Snowbirds were the first aerobatic team in the world to use music in their demonstrations, and that they incorporate live commentary from the performing pilots during their routine. Their modern, high-tech act will set the stage for the rest of Central Coast AirFest. Central Coast AirFest will also feature displays and exhibits of military aircraft such as F-18 Hornets, P-51 Mustangs, and a C-130 Hercules. Vintage warbirds and a variety of military helicopters will be available for the aviation-inclined, and acts such as Eric Tucker’s J-3 Cub comedy act and Sammy Mason’s high energy biplane routine are sure to keep everyone – even the kids – entertained. There will be a variety of food, beer, and wine available during the event. Local restaurants, food trucks, wineries, and breweries will be featured and will represent all the Central Coast has to offer. There will be a fun-filled kids’ area, a VIP tent where VIP guests and performers can find some shade and refreshments, and many other tents offering merchandise and assorted goods. 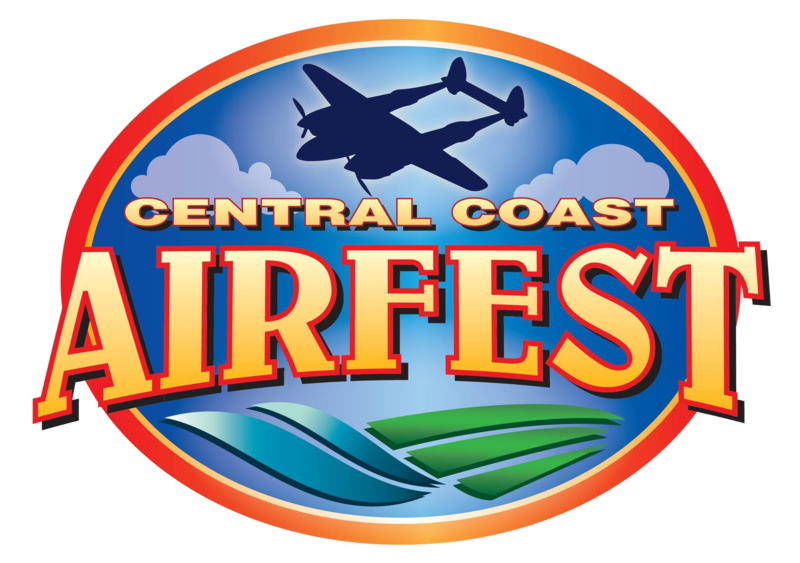 Visit our website at www.CentralCoastAirFest.com to purchase tickets and to learn more about exactly what to expect at this first annual AirFest. Like and follow our Facebook page, Central Coast AirFest, and follow our Instagram, @centralcoastairfest, to see exciting updates leading up to the event. We promise to keep you entertained, on the ground and in the skies.